Secrets may be among the most valuable assets that governments have: the Trojan Horse, the Enigma code, and surprise attacks such as Pearl Harbour and the Yom Kippur War are just a few of the examples. But in some cases, governments’ desire for secrecy is hard to square with the national interest—and may even be among the most dangerous threats to it. The threat is even greater when the secrecy is prompted by the less-than-lofty interests of a foreign government intent on getting its way. A case in point is Chinese international development finance. China has become an important player in this area. In principle, China’s massive savings, infrastructure know-how and willingness to lend could be great for developing countries. Alas, Pakistan, Sri Lanka, South Africa, Ecuador and Venezuela have learned the hard way, Chinese development finance often delivers a corruption-filled sugar high to the economy, followed by a nasty financial (and sometimes political) hangover. As countries confront rising project costs and try to make sense of what happened, they find that the financial terms of their obligations have been contractually shrouded in secrecy. Moreover, the contracts impose constraints on the ability of borrowers to make the terms known to the government, let alone the public. This is unfortunate, to say the least, because controlling the accumulation of debt is one of the most important things that a government can do to prevent crises. Many countries have made headway in shoring up their fiscal policies by adopting public-finance laws and budgeting practices to keep deficits under control. You would think this would be enough to keep a lid on debt accumulation. After all, basic accounting implies that debt tomorrow is just debt today plus the deficit you run between today and tomorrow. So, if you can control the deficit, you can control the growth of debt. If only it were so easy. As Ugo Panizza of the Graduate Institute of International and Development Studies in Geneva and his co-authors have shown, developing countries seem to violate accounting identities, because there is practically no correlation between deficits and the evolution of debt. The reason is that many expenditures become public obligations without ever going through the budget process. An important way to distinguish between government and non-government debt is to determine whether the debt obligation is to be paid from future taxes or from the future cash flow generated by the project that is being funded with the loan. But this distinction is often quite muddled, owing to guarantees, either explicit or implicit, that force the government to rescue the project ex post facto and repay the creditor fully or in part. One recent practice used by both China and Russia is to lend against future exports, as in the case of oil in both Ecuador and Venezuela. These arrangements come in two flavours: outrageous and beyond belief. The outrageous version is based on the idea that this debt is not really debt, but just a pre-purchase of oil. This claim is ridiculous, because debt is any obligation you take on today that you commit to repay with your future revenue. Moreover, it is not just any old debt; it is debt collateralized by the future stream of exports, which makes it super-senior debt—more senior than debt from entities with so-called preferred creditor status. Not counting it as debt is clearly outrageous. But it gets worse. The Chinese have used oil exports to collateralize debt for projects that have nothing to do with oil, such as the Coca Codo Sinclair dam in Ecuador or Venezuela’s Fondo de Desarrollo Nacional, which has provided no clue about what happened to a Chinese loan of more than $60 billion. In these cases, the project loan is repaid not from the future revenues of the project, but from the future oil revenues that the country was counting on to pay for all of its obligations, financial or otherwise. As a result, oil revenues are used to pay for projects that neither enhanced oil production nor went through the budget process, thus disrupting the financial stability of both the oil company and the government. In this context, China’s practice of keeping financing terms secret from the society that is ultimately responsible, and often from that society’s government, is beyond the pale. Even the terms of renegotiation are secret, lest other borrowers use the outcomes as precedent. I cannot think of a good argument reconciling secrecy in the context of public financial obligations with the public interest. It is something that societies should not tolerate. The fact that the terms of these massive obligations have not leaked to the public reflects how weak civil society and the press are in these countries. Others can help. Credit rating agencies should demand to see the financing contracts. If the agencies are rebuffed, the opacity of such practices should be reflected in their ratings. The IMF and other multilateral creditors should condition loans on compliance with standards of transparency that would prevent this secrecy. 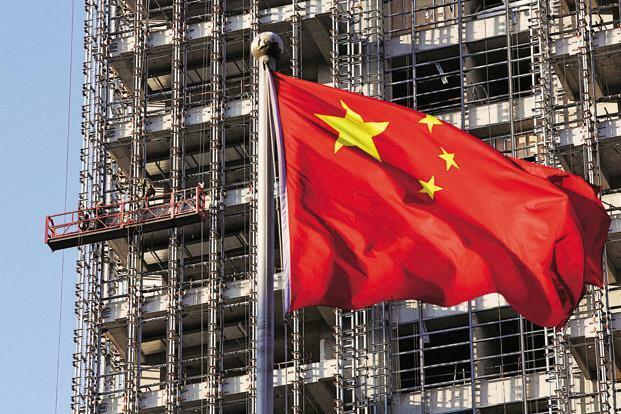 The Paris Club of major sovereign creditors should make the disclosure of the terms of Chinese or Russian loans a condition for debt restructuring. Secrecy has a place in government, but not in international public-sector finance. It is a practice that needs to end before it does even more harm than it has already caused.